How Detox Drinks Are Changing Retail Selves? 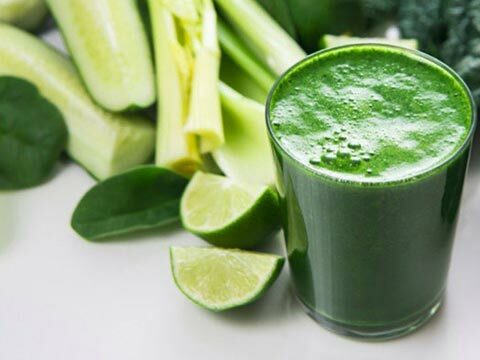 Detox drinks are an emerging segment in overall food and beverage segment and certainly has brighter future ahead. Indians are one of the world’s most health conscious people. According to recent analysis from market research firm Mintel, nutritional and performance drinks are becoming an increasingly popular meal option across the globe due to evolving dietary habits of on-the-go consumers and positive functional attributes. Although the detox drink market in India is relatively small and fragmented, with many different similar-sized businesses competing, there are nonetheless some brands that stand out. Presently, Morning Fresh is available in four different flavours, to appeal to a wide range of palette’s; Mint, Cola, Strawberry and Cinnamon. Company’s clientale includes young professionals, health conscious men and women between the age between 25-35 years. The company aims to be available in all major metro cities offline and be synonymous with keeping people healthy, hangover free and ensure they drink responsibly. Morning Fresh is in high demand in export markets, which we are actively pursuing. Goodjuicery is yet another brand which started nearly 3 years of research and development before the company launched with a range of sparkling fruit juices. Highlighting the journey, Michelle Bauer, Director at Good Juicery Pvt Ltd, said, “I moved to Pune in the summer of 2011 and noticed a gap in the market shortly after arriving. We found India to be a very welcoming, social place – with so many great restaurants, festivals and events happening, and more popping up each month. However, we noticed few non-alcoholic natural beverage options that complimented our lifestyle and social experiences. So we set out to develop our own.” Presently, the company’s products are available in all major cities: Mumbai, Delhi, Bangalore, Pune, Hyderabad, Chennai, Ahmedabad. Though the market of detox drinks continue to mature ; but India has still a long way to go. Highlighting the growth scenario, Bauer said, “The detox drinks market in India is quiet nascent. There is a wide scope for growth. What must keep in mind is that the products need to evolve with time so as to remain relevant to the consumer. With an ever changing market, dynamism is the key. Another factor that impacts the growth of a brand in this market is the uniqueness offered in terms of flavours, textures or the solutions offered. “The challenge we have faced has not been to launch our juices, but to find the right distribution partners to get our juices to the people who want them – and to build a sales team who can comfortably and capably sell a premium product. In both areas, we have become much better at identifying the right partners and people – and we are proud of the fact that we are building a strong female sales team in the different markets we now service,” Bauer added further. Mitali also highlighted that educating customers on what the effects of alcohol can have on the body and benefits of removing the toxins quickly with Morning Fresh is one challenging ordeal to win over. Clearly, detox drinks are emerging segment in overall Indian food and beverage industry. Whether it’s trying new fitness routines, going organic, experimenting with different diets, customers are increasingly becoming more aware of the importance of living a healthy lifestyle. Keeping in mind this trend; companies which have offerings in completely natural segment, certainly will see a brighter future.